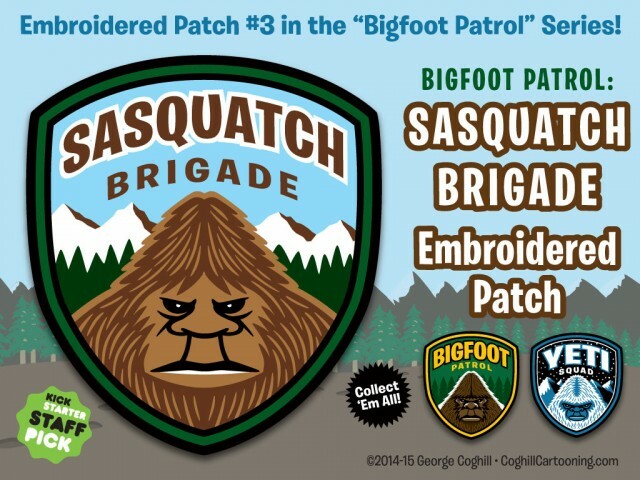 I launched the “Sasquatch Brigade” embroidered patch Kickstarter campaign this week, and within the first 24 hours the funding goal was met and the campaign was chosen as a Staff Pick. Within the first 5 days, all 8 initial stretch goals have been reached. 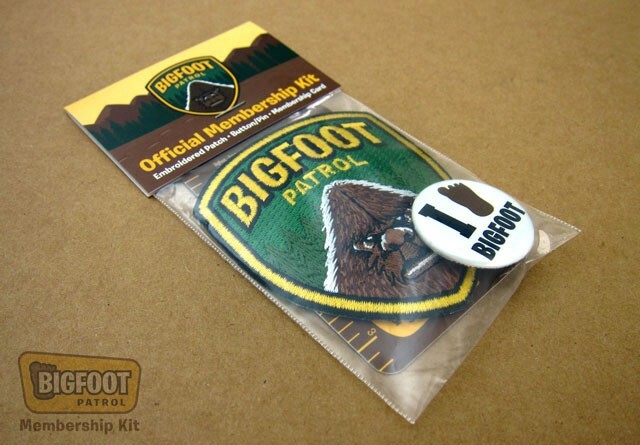 The “Sasquatch Brigade” Membership Kit completes the initial hairy hominid trilogy, alongside the Bigfoot Patrol and Yeti Squad. $5 gets you an embroidered patch, shipped anywhere in the U.S. and $20 gets you the full membership kit, a sketch card original art drawing, along with all the stretch goal reward items, which are included for free as we continue to meet funding goals. 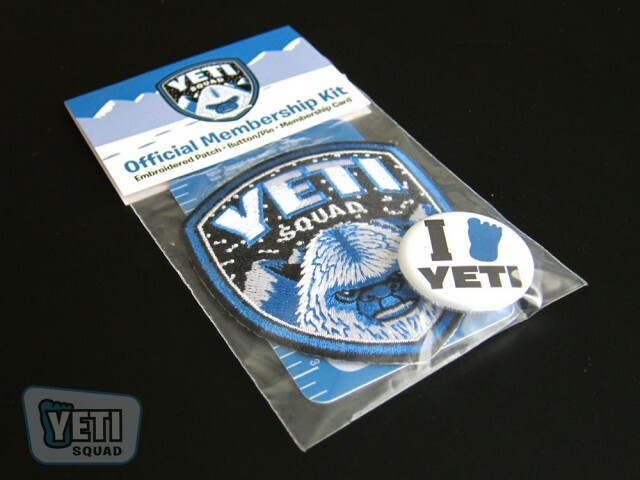 Stretch goal items include additional embroidered patches, stickers, window clings, and more. 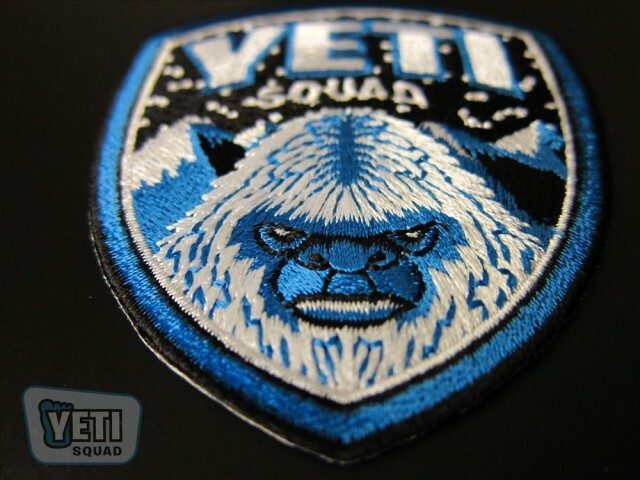 New to this campaign is the option to get your patch with Velcro backing, perfect for military Morale Patches. There are reward levels to get all three embroidered patches or all three kits, as well as levels including original artwork and sketch cards. 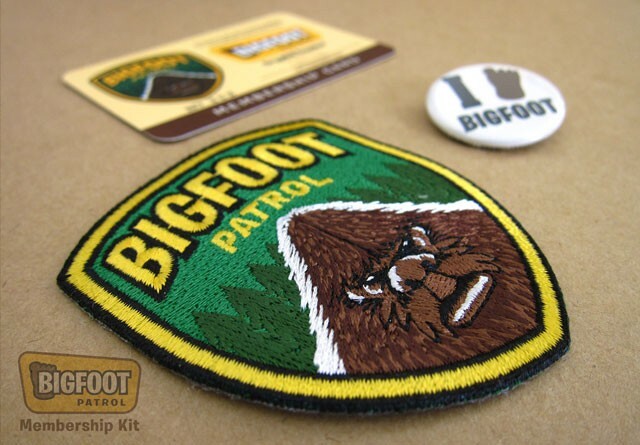 See below for more photos of the existing items in the Bigfoot Patrol and Yeti Squad series. The campaign runs until June 12, 2015.